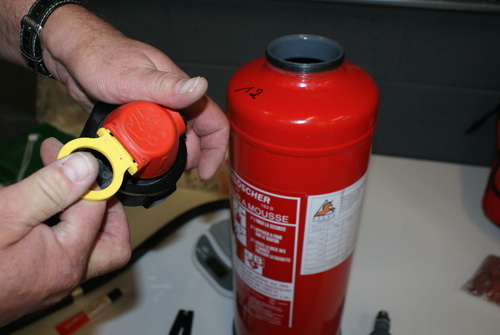 We offer you our long experience in the field of fire safety. We are only happy when our customers are satisfied. Member of the Service Academy, we put the focus on the quality of our services to get a high satisfaction of our client partners. The evacuation mat for quickly transport an immobile lying person from a hospital bed to safety. 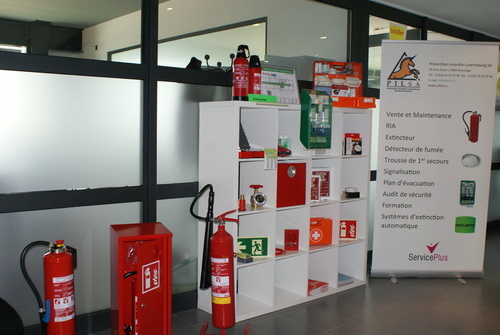 We are a team active in the field of fire safety, with a long experience in various activities such as the sale and maintenance of all types of fire extinguishers, all types of hose reel, material for dry column systems, automatic extinguishing systems Firedetec for electrical cabinets, CNC machines, fume cabinets, commercial kitchens, vehicle engines. We also offer smoke detectors Secudo, fire resistant safety cabinets Trionyx and fireproof curtains FKservis. In terms of signaling we realize your evacuation plans and can provide a full range of pictograms vinyl, PVC, aluminium, plexi, standards and photoluminescent. The range in the first aid kit is very varied with the ability to make custom composition with bandages distributors and eye wash solutions. We ensure of course after-sales service of all our products. Our experience allows us to offer security audits of your buildings, as well as assistance to your evacuation trainings incorporating achieving a POIE internal organization evacuation plan. We are a training organization approved by the Ministry of Economy, our trainers will be happy to train you to use the fire extinguisher, the training in evacuation and first aid in action. © 2015 PIL S.A. All rights reserved.